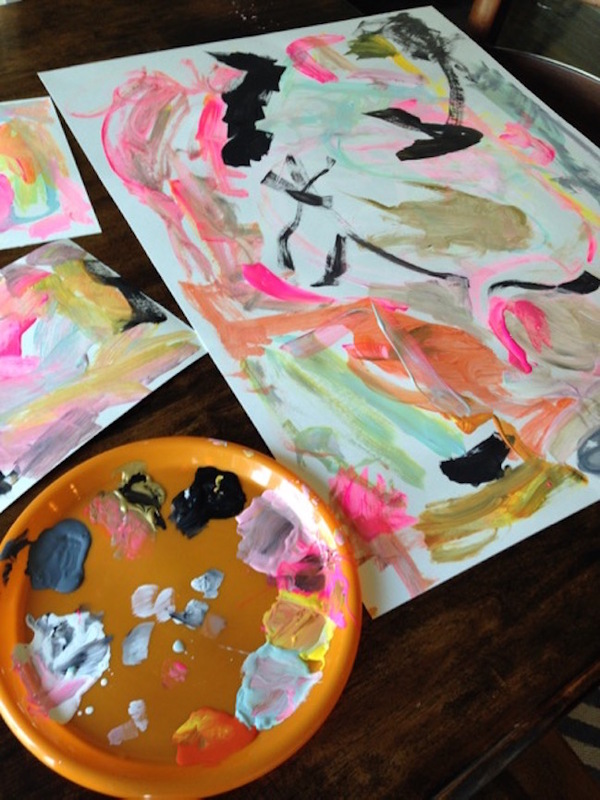 Life Love Larson: DIY Colorful Abstract Art (So Easy a Child Did It)! 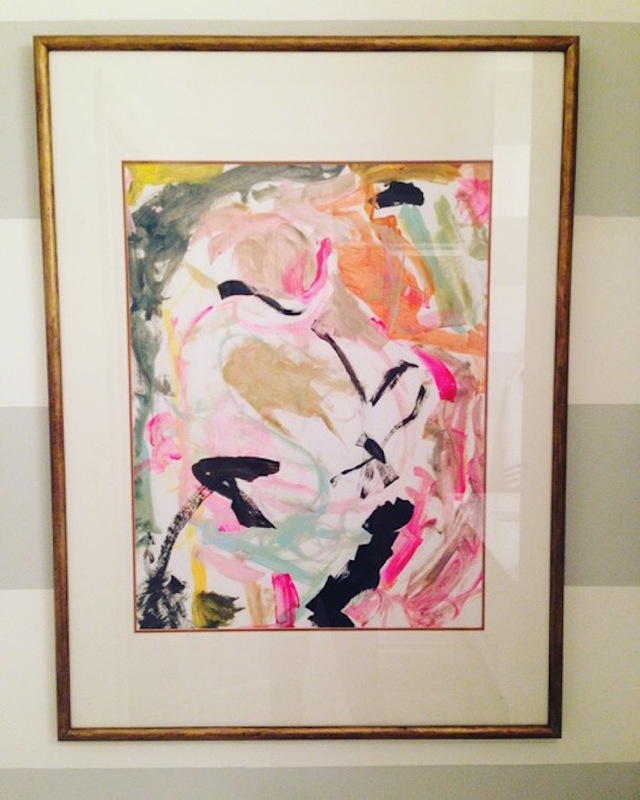 Kate painted this abstract painting when she was 6 years old and it has been hanging in our bathroom off the kitchen for that long. I just LOVE it! 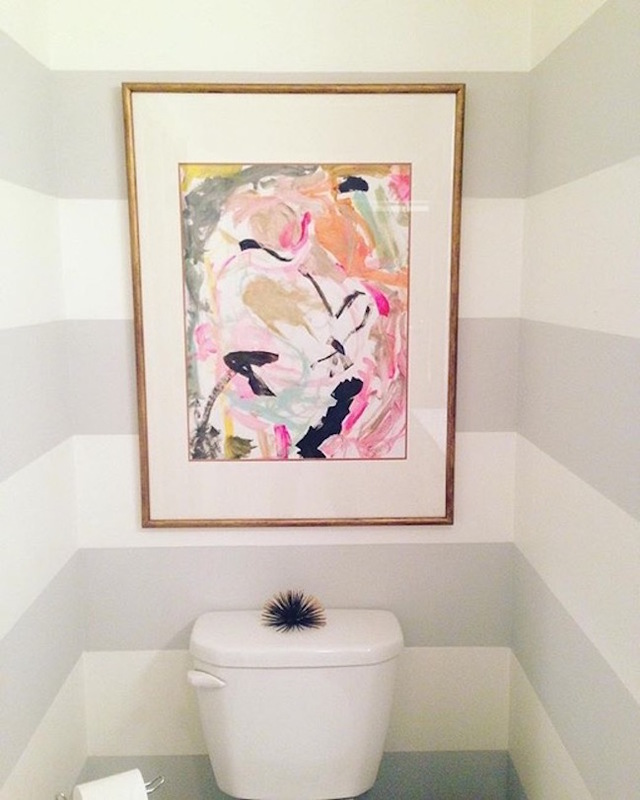 There were no intentions at the time of having her work commissioned for our home ;), it just turns out that I fell in love with it and had a frame that worked for it. I only have one photo from the day she painted it. I busted out some acrylic paints and a poster board and let her have at it. The way the colors work together, with a pop of black, is just right up my alley. Oh I love it. She is a natural artist. i could TRY to do that, and it would look horrible. maybe she could paint me one, lol.